ANOTHER eminent American, to wit, Buffalo Bill, has also been making a sensation, as he and his companions have been "doing" the theatres, much to the delight of sightseers. 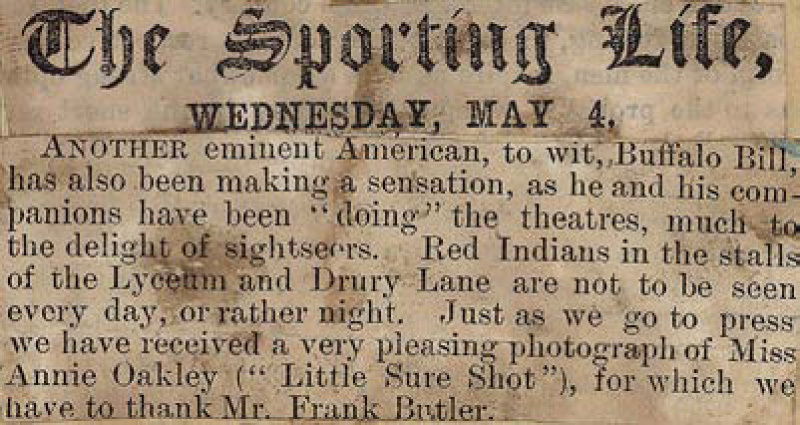 Red Indians in the stalls of the Lyceum and Drury Lane are not to be seen every day, or rather night. Just as we go to press we have received a very pleasing photograph of Miss Annie Oakley ("Little Sure Shot"), for which we have to thank Mr. Frank Butler.